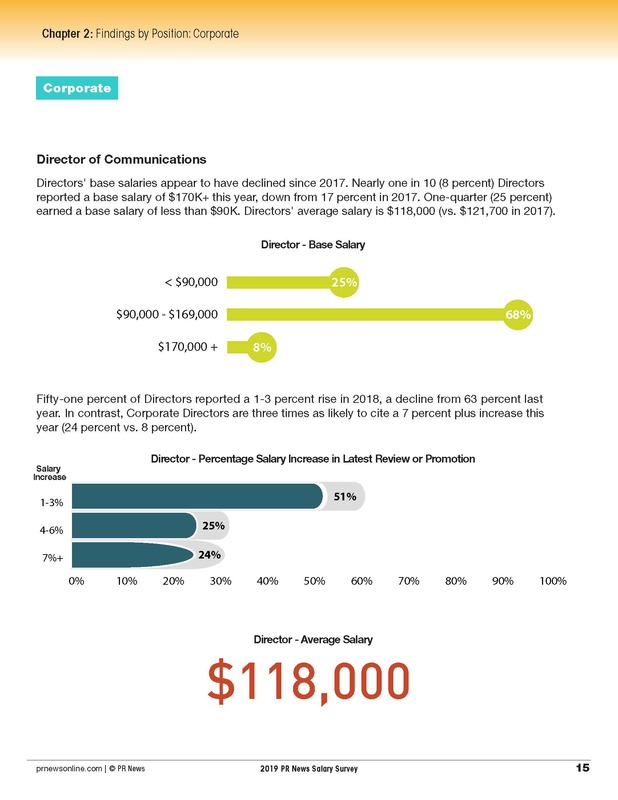 The information within PRNEWS' latest Salary Survey Report will provide you with a roadmap guiding you through the trends in PR jobs, salaries and employment. 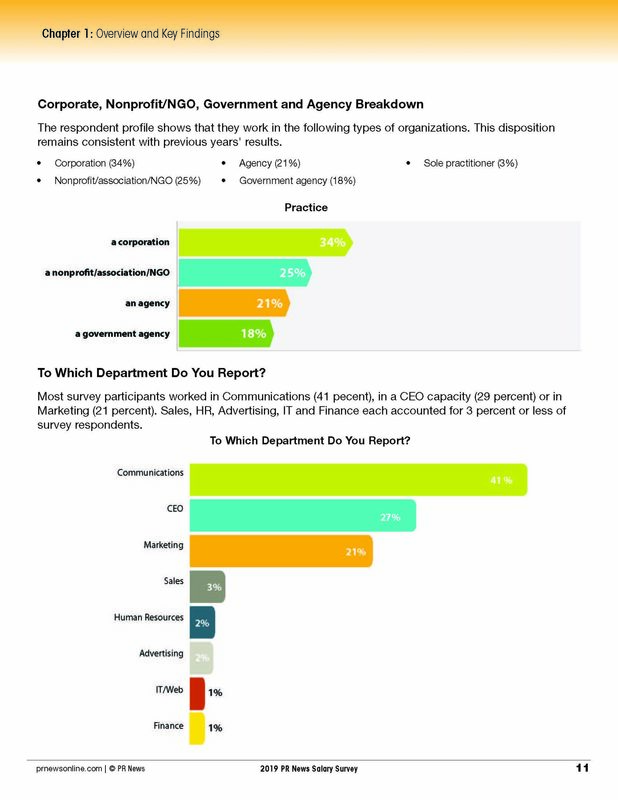 What are the trends in PR? Are you satisfied with your job? Salary? And what do bonuses look like these days? 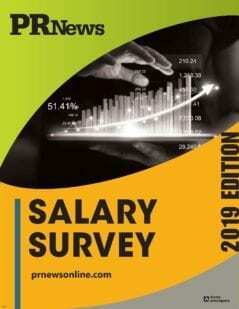 The annual PRNEWS Salary Survey, 2019 Edition, takes a deep dive into your profession. 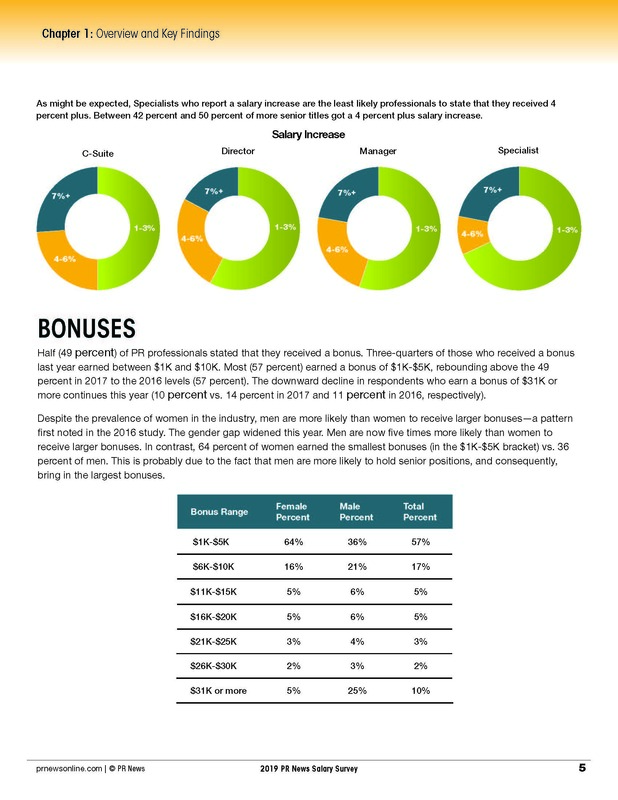 You’ll learn average salaries by job function, bonuses, pay gaps, job satisfaction, most important skills for advancement, demographics, and more.